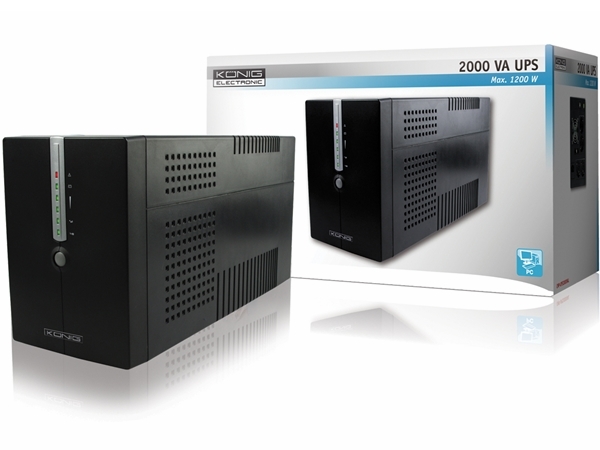 Prevent loss of data in case of a power failure with this 2000 VA UPS. The uninterruptible power supply creates a buffer between the mains power supply and your PC and therefore offers you some extra time to save all your data. Back-up time: ± 30 min.